Walk on a panoramic hill. Stop at the Cascina del Pavaglione. Meeting at 10.00 am in hamlet Manera. Price: € 10. 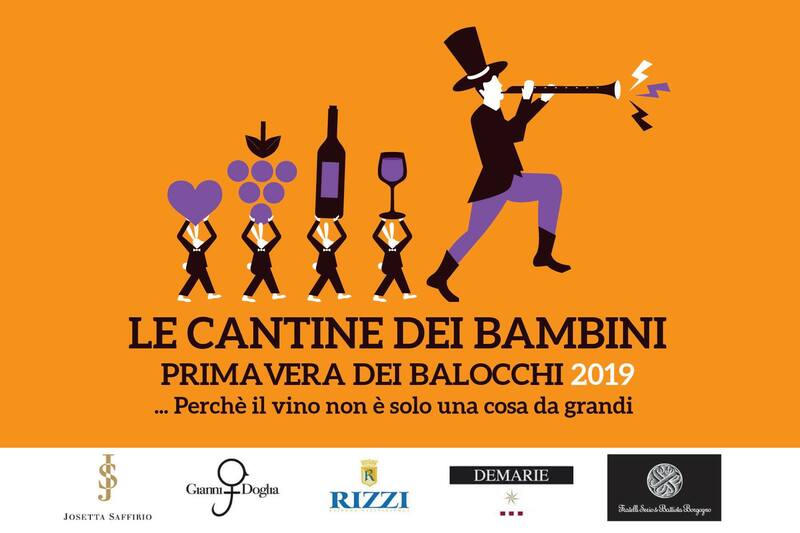 Days dedicated to the tasting of wines of the area in the Cantina Comunale of La Morra, from 10.00 am to 12.30 pm and from 2.30 pm to 6.30 pm, on Saturday. Walk in the area of Montelupo Albese departing at 10.00 am. Preis: € 10. The Barbaresco DOCG 2016 presents itself in a two-day event in the fascinating stage of the Castle of Neive, with an exceptional guest: KerinO’Keefe, Italian publisher of Wine Enthusiast. Sunday, April 28th, full day dedicated to journalists and industry professionals, by invitation, on April 29th, tasting tables open to the public from 12.00 pm to 6.00 pm. Treasure hunt to discover the Langhe of Barolo and its secrets from 10.00 am to 7.00 pm. On reservation. 26th Edition: for three Fridays in May, on the 10th, 17th and 24th May, at 8.30 pm, many restaurants in the production area of Barbaresco wine will welcome anyone who would like to spend a pleasant evening enjoying their specialties and the Barbarescos 2016. In every restaurant it will be possible to taste about 60 different Barbarescos 2016 in three evenings. The tastings will be strictly blind and only at the end of the evening will be revealed the names of the producers. Prices depend on the restaurant. For the reservation, contact directly the restaurants. Art exihibition in the Cantina Comunale of La Morra. Free entrance. Open: from Monday to Friday from 10.00 am to 12.30 am and from 2.30 pm to 6.30 pm, Saturday and Sunday from 10.00 am to 6.30 pm. Wine and gastronomic walk o f 9 km through the hills and forts from Montà to Canale, evoking the age-old custom of taking a basket of lunch out to family members working in vineyards. Price: 40 €, free for children under 14 years. Start at 10.00 am. 29th Eno-gastronomic walking journey through the hills and the historical center of Santa Vittoria. Beginning from 11.00 am. Cost 26 € for the adults, 20 e from 13 to 17 years, 13 € for children from 7 to 12 years, free for children up to 6 years. The 2nd Edition of Serralunga Vino E... where Serralunga d'Alba wines and wine producers, local restaurants and the historic village with its fascinating medieval castle become the main protagonists of this remarkable event altogether. The event starts with the big Gala Dinner "At the table with the Winemakers" and continues during the weekend with an open-air festival in the historical town centre. 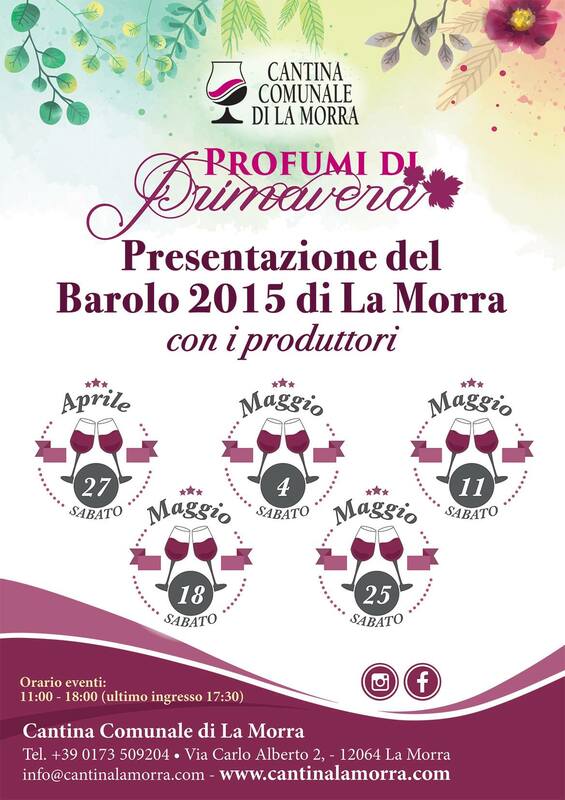 Presentation of the 2015 vintage of Barolo wine. From 5.00 pm in the Castle of Roddi. Tastings of wine and typical dishes, guided visits in the rooms of the castle and music. Cost of participation: € 25 in advance, € 30 on the spot. Concerts, seminars, workshops, exhibitions and collateral events. Langhe and Roero’s historic churches, cellars and palaces will be the concerts’ venues. Free entry. Food and wine walk through the Barolo vineyards with tastings of typical dishes and local wines. Price: 50 €. 12th edition of Bra’s biennial event dedicated to milk in all its forms. The event turns the spotlight onto the three pillars on which cheese quality rests: milk, craft and place. These three multi-faceted aspects can be further deconstructed in order to analyze the major issues that concern the sector, from how livestock are cared for to production techniques to aging. 89th edition of the event that characterizes the autumn in Alba. Palatartufo and Alba Qualità are open every Saturday and Sunday from the 5th October to the 24th November and on the 1st of November. In addition medieval re-enactments, street markets, sport and wine and gastronomy events. Hilly and binding marathon, on asphalted roads, dirt roads, a tract in grass and vineyard with some passages to the pace. Half Marathon and non competitive Eno-walk. In the villages of Alba, Barbaresco, Neive e Treiso. From 9.00 am on reservation.